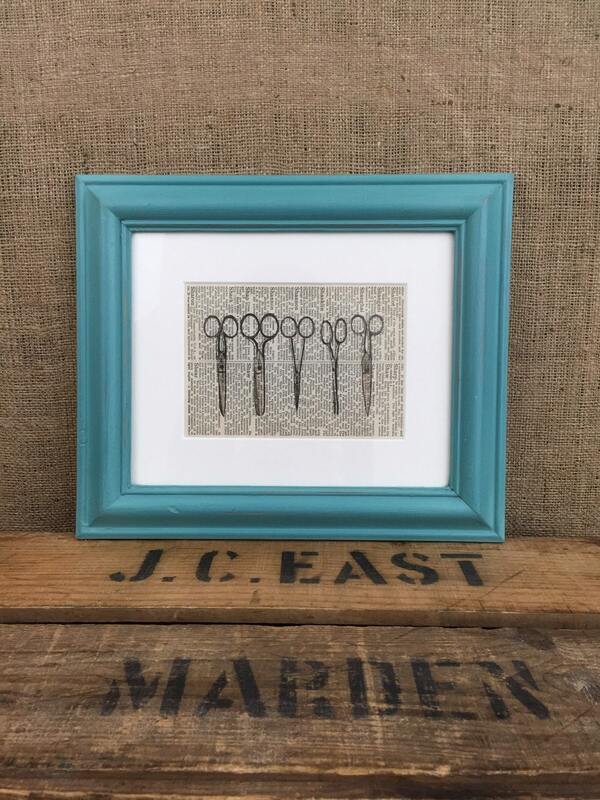 A vintage inspired image depicting a set of antique Scissors. 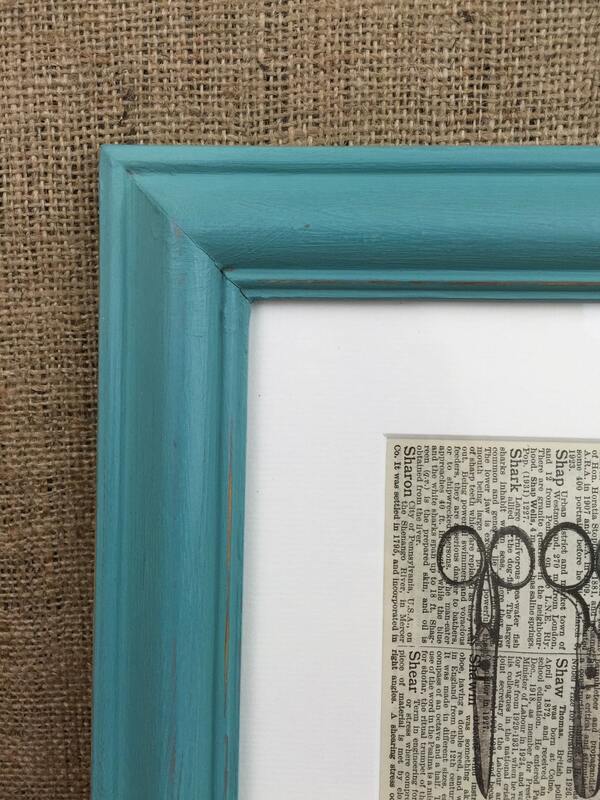 Printed on original vintage dictionary pages, mounted on white mount board and framed in a turquoise / teal painted shabby chic style frame. 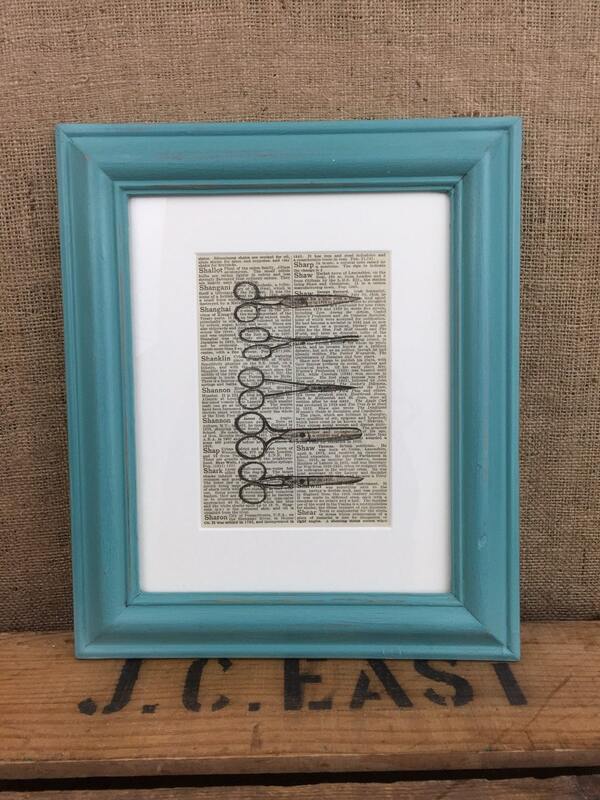 A wonderful framed print that will inspire your passion to cut, sew, or craft. Perfect for a barber, hairdresser, craft room wall, or in the lounge, living or dining room of any cutting specialist, hobbyist or enthusiast. Give as a gift or treasure for yourself! The recipient is sure to adore this print! Note: This is an upcycled frame, fits this 8"x10" mounted print. Frame style may vary slightly. 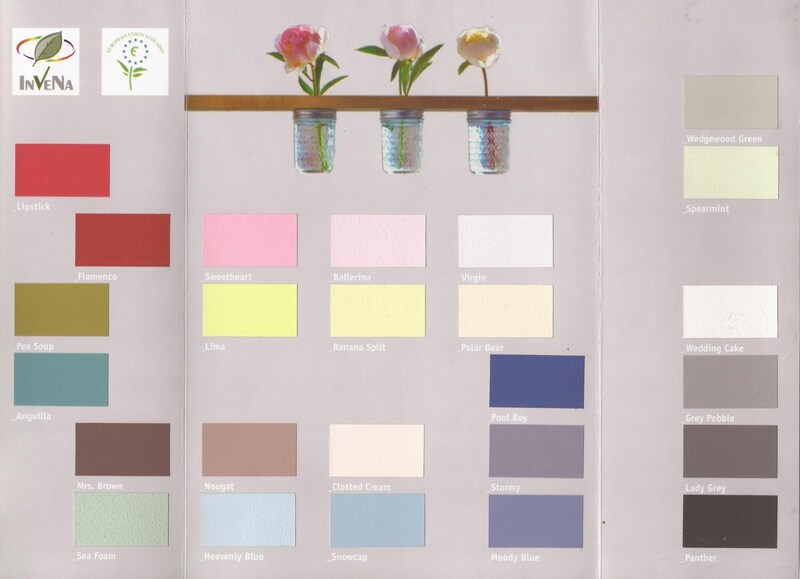 See colour chart for custom orders - Simply leave a note with your choice of frame colour from the chart in last image.